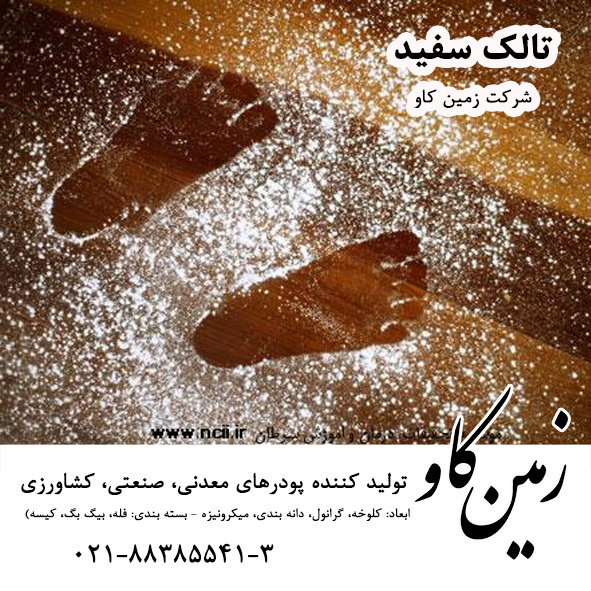 سرامیکهای استاتیت که به عنوان عایقهای الکتریکی استفاده می‌شوند، از تالک 10 درصد کائولین و 10 درصد کربنات باریم در دمای 1349 – 1355 درجه سانتیگراد (12-13 ساعت) ساخته می‌شود. سرامیکهای کوردیریت به دو روش ساخته می‌شوند. مخلوط 44 درصد تالک خالص ، 41 درصد کائولین و 15 درصد اکسید آلومینیوم و یا 50 درصد کائولین و 50 درصد کلریت غنی از منیزیم. 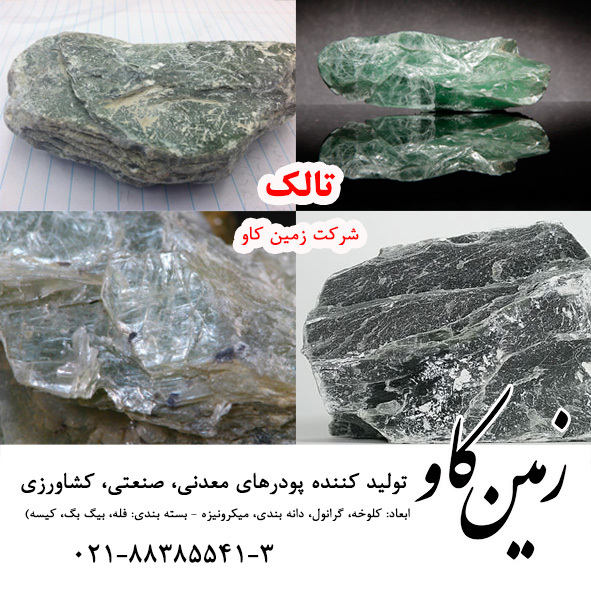 شرکت زمین کاو با سالها تجربه به عنوان یکی از مراجع تولیدی تالک در ایران فعالیت دارد. این شرکت مفتخر است با تولید انواع دانه بندی های تالک نیازهای بازار مصرف این محصول را برطرف نماید. 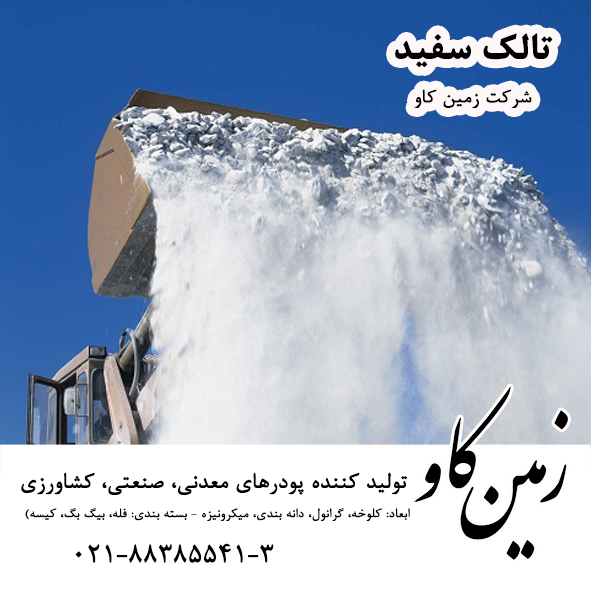 شرکت زمین کاو در راستای تلاش برای گسترش علم و دانش در کشور اقدام به معرفی این سایت که خود مرجعی گسترده و ارزشمند درباره تالک می باشد نموده است. امید است این تلاش قدمی برای پیشرفت کشور عزیزمان باشد. Talc, is a hydrous magnesium silicate. The mineral is generally discovered in the nature in metamorphic rocks. Talc is form by metasomatism kind of contact metamorphism and regional metamorphism in right conditions. The chemical composition of talc and other minerals along it contains: Serpentine, Chlorite, Anthophyllite, Termolite, Diopside, Dolomite and Calcite. In contact metamorphism, intrusive bodies rich of magmatic solution meanwhile influence in carbonated rocks rick of magnesium (dolomite) cause form of magnesemia skarn. Talc is one of the most important magnesemia skarn and in mafic rocks, ultra mafic rocks and dolomites regional metamorphism, in low heat cause form of schist talc which is the most important of talc source. The most volume of talc is schist and serpentine rocks. The most important of talc usage is: in paper-making 42%, in plastics 9.2%, in ceramics 21%, in paints 8.5%, in roofing 5.4%, in pharmaceutical 2%, in cosmetics 2% and even in rubber manufacturing, animal feed, pollution control, polish and agriculture. Talc can be used in 3 phases of paper-making, filler, roughness control and coating. 42% of produced talc is used in paper-making and majority part of it is used as filler material. 2.7 billion ton of talc is used in paper-making, reported in 1994. In the US because of plentifulness of kaolinite, usage of kaolinite is more than talc in paper-making and unlike Europe. The advantage of talc instead of kaolinite as filler in paper-making: improvement of softness, porosity, mate, abrasion and yellows index. Talc is used as paper coating because of its plate shape and well transparency. Using talc as coating leads several advantages in paper as follows; glossy, softness, reduce of friction and increase of printing quality. Choosing talc or kaolinite as coating depends on the price of these two mineral materials. More than 90% of used talc in paper-making in Northern America has been done in order to control of roughness and reduce of cohesion. 21% of produced talc in the world is used in kinds of ceramics. Having reasonable expansion and contraction factor, good diffusion coefficient and low prices are the factors that encourage people to use it in ceramics. In body of traditional ceramics the percentage of talc usage is 30-60%, in advanced ceramics is used special. Static ceramics that used as electrical insulations is made from 10% of talc and 10% of barium carbonate cooked for 12-13 hrs. In 1349-1355 degrees. Cordierite ceramics made in 2 different ways, combination of 44% of pure talc, 41% of kaolin and 15% of aluminum oxide or, 50% of kaolin and 50% of enriched chlorite with magnesium. 2.9% of world produced talc used as filler in plastics. This happened because of talc shape, thermal resistance and plasticity. Due to increasing of mechanical resistance and raising the quality of surface (reducing scratches) will be added to polypropylene (PP). Prevention of obstruction and cohesion in plastics is the other usages of talc. Nowadays talc competes titan oxide. About 8.5% of world produced talc used as filler and chromatic in paints industry. The most important properties of talc is: softness, good dispersion coefficient, being neutral facing solutions and low density. The other talc usages are: cosmetics, baby powder, as reducer of friction coefficient, ink, firefighting, medicinal purposes and textiles. 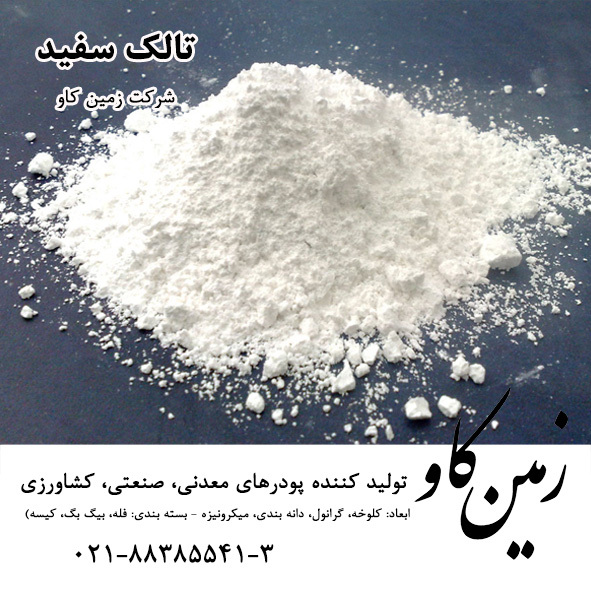 ZaminKav corp. with years of experience as an authority of Talc production in Iran honored to produce the high quality of any grade of required Talc. ZaminKav Corp. in order to produce science, introduced this following website which is wide and worthy reference about Talc. Hope to be useful.